craftytammie: get 'em while they're hot! I've spent the morning sipping coffee from my mug and looking at all the blocks. 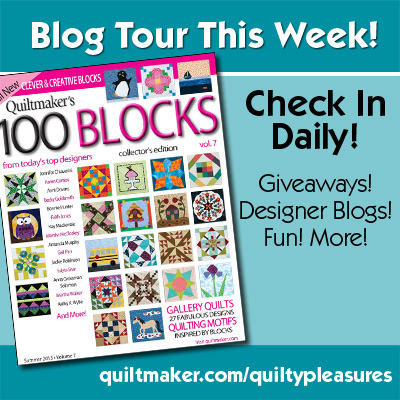 head over to the quilty pleasures blog for their blog tour and enter to win a big prize bundle! you can also see some of the blocks that are in the issue. like this one I tested, the pattern is called Pay Day. I used some Kona, Amy Butler, and DS Quilts fabrics. I'll be sharing some of my other favorites all week long! and don't forget, sewmamasew's giveaway day starts one week from today! i'll be participating so be sure to stop back then. have a great week and happy sewing!